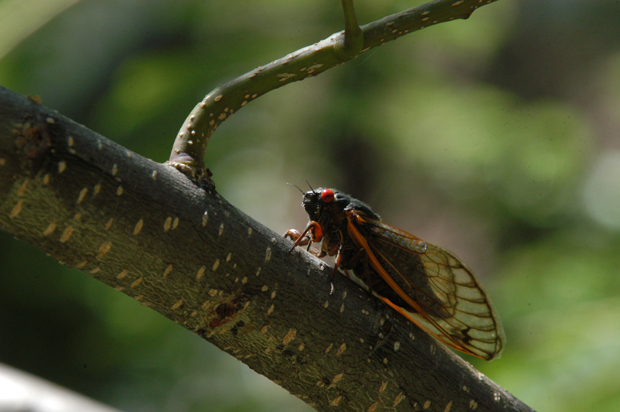 Today the cicadas were all over the Mimosa tree in the front yard, and buzzing around all over every tree in the neighborhood. They lay their eggs in branches that break off and fall to the ground. The eggs will hatch and the larva will burrow into the ground and emerge in another 17 years. The males die after mating and the females die shortly after laying their eggs. A lot of them end up smashed on the sidewalk, an inclimactic end to a 17 year life.